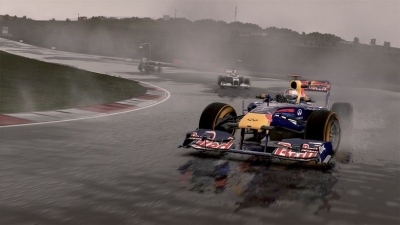 F1 2011 promises to extend the driver's dream that Codemasters have been developing the last few years. Accurate, realistic and unforgiving it creates a genuine relationship with man and machine as you play. F1 is a technology led sport, with questionably skilled humans at its heart. This combination of ability and science has made it a hot property in the videogame world. From early iterations of Super Monaco GP on the Megadrive through Geoff Crammond's Formula 1 games on the Amiga and PC, recreating this world electronically has always drawn crowds. 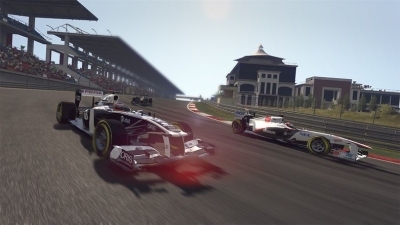 With the return to popular interest of Formula 1 after something of a hiatus, Codemasters stepped a couple of years back to create a driving experience around the F1 calendar that was both exciting and authentic. Progress has been steady for the Codemasters team who first delivered F1 2009 on the Wii (still the best serious racer on the system) and then followed that up with the critically acclaimed (even if it was too hard for some) F1 2010 on the 360 and PlayStation 3. Now they plan to build on this good work with a 2011 iteration. Let's cut to the chase: even with my limited time so far it seems to have worked. 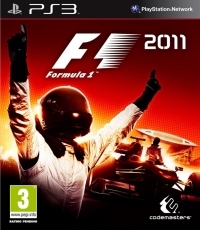 As with their previous games, F1 2011 is a demanding experience. You need to commit time and energy to learning how the world of F1 works, and how these cars handle unlike anything you will drive in real life. It's not just a matter of working out when to break and accelerate on each circuit, but more how to maximise the strengths of your car and minimise its weakness. It looks like it will pull off this magical combination of man and machine with some aplomb. 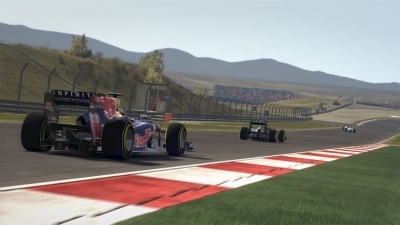 If F1 2010 had any just criticism is was for the steep difficulty curve and demanding nature of each race. I literally had a number of weeks with the game before my first win. Being something of a motor head, I was happy to invest this time (enjoyed doing so in fact) but I accept that less dedicated drivers may have walked away before getting the best out of the game. To this end F1 2011 promises to make the experience a little more engaging (and dare I say easier) for newcomers and more casual racers. I'm happy to hear the team still saying that F1 2011 will take time to master, but also happy to concede that there need to be a few more carrots to keep less enthusiastic players going. The new simulation modelling and handling of the cars is what got me most excited though. One of these incentives is a greater focus on the F1 excitement out of the cockpit with a more convincing campaign mode that ups both variety and realism. On the track there have also been gains graphically as well. Each circuit is much more fleshed out and feels more realistic. This year the same 19 tracks return, but are joined by the new Buddh International Circuit and N�rburgring circuits. Catching glimpse of the new simulation modelling and handling of the cars is what got me most excited though. Cars now lean as they enter and leave corners so that brushing the apex on each hairpin is even more crucial. The simulation will also extend beyond the cars to a series of team-tactics. You can choose to make use of DRS (Drag Reduction System) and KERS (Kinetic Energy Recovery Systems) to give you the edge. But at the same time you inevitably introduce more things to go wrong and adversely affect your race. KERS is a little like a boost. It stores power like a flywheel and can then be used to give the car an edge out of corners. DRS is about down force - it alters the angle of the rear-wing for higher top speeds on the straights. The computer drivers have also been worked on. Even so I expect that, having being out on the track myself, I'll still struggle to enjoy racing against these automatons. There is nothing like going toe to toe against another human player. 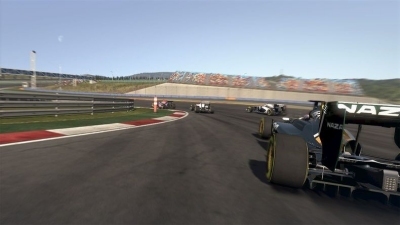 Thankfully F1 2011 promises to let you do this against 16 players (and 8 computer cars) to create a full and realistic weekend of racing. It offers sensible improvements, while sticking to its insistence that players need to dedicate themselves to progress. Another feature I won't be using but I'm sure families and casual racers will appreciate is a split screen option, so that two people can race on the same console. It's nice to see these features being included, as they are often overlooked in favour of PSN or Xbox Live. In the real world of Formula 1, successful teams are those that combine their car's technology and human driver intelligently and strategically. F1 2011 feels a little similar. It promises to offer sensible (and in some areas much needed) improvements, while at the same time sticking to its insistence that players need to dedicate themselves to the experience if they are to progress long term. If it delivers on these promises, I may well be playing as much as watch F1 this coming season. Jon Starkey writes the Race Gamer column. "Joining Game People is still a little daunting, but I hope to offer some insider knowledge and insight into the best and worst driving games and peripherals available on Xbox 360, PS3, Wii, DS lite and PSP."